Onboard the ship you will have a broad range of activities and amenities. Depending on the ship, you can: Take in guest lecturers or enrichment classes. Enjoy time with your significant other while the young ones play in the supervised kid’s area, and the older children can congregate in the ships teen center for some fun all their own. Then there’s the dining venues, swimming pools, movie theaters, ice skating rinks, and health and spa facilities, that will delight any age group. Adding to the appeal is the safety a cruise vacation offers. Couples or families can break off to do their own thing without a worry. Crew members are always watching out for their guests’ enjoyment and safety. As you’re enjoying all the ship has to offer, you’re being transported to your next destination where the cruise line offers a myriad of shore excursions for you to get the most out of your stay. Tipping policies vary by cruise line, so it’s best to know what to expect before you depart. As your travel expert, I offer you the opportunity to pre-pay your gratuities with your final payment, thus eliminating a larger bill at the end of the cruise. Only some cruise lines offer this option. 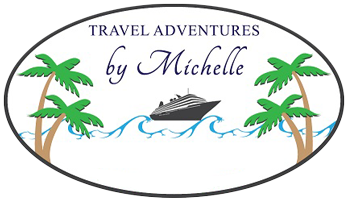 The following is an introduction to tipping while on a cruise. Since cruising is international, from the staff to the passengers, the practice of automatically charging your onboard account a daily flat service charge is becoming increasingly popular among cruise lines. This practice alleviates any potential angst for people not accustomed to tipping and is a simple means for the crew (who often heavily rely on tips) to receive a living wage for their services. Charges are per day/passenger and in some cases you can adjust the automatic service charge should the service not meet your expectations. You’ll find this policy while onboard Windstar Cruises, Holland America Line, Princess Cruises, Norwegian Cruise Line, Oceania Cruises, and Cunard. Other cruise lines believe tipping, while customary, is an individual decision that should be left up to each guest. These cruise lines conveniently offer suggested daily amounts which are based on the type of stateroom you have. Finally, for those who’d like to just step aboard and not worry about tipping at all, Regent Seven Seas, The Yachts of Seabourn, and Silversea Cruises all have a strict no tipping policy. You should note that many cruise lines also automatically include a 15% gratuity on bar drinks or wine purchases. This added gratuity is separate from the cruise line’s tipping policy. *Tipping policies are subject to change so be sure to ask your travel expert for the latest tipping policies on any cruise line.